Long day of travel from KY to MD. Happy to have made it here safely. My Dad did majority of the driving. This allowed me time to kick my feet up on the dash, take selfies and browse the internet. 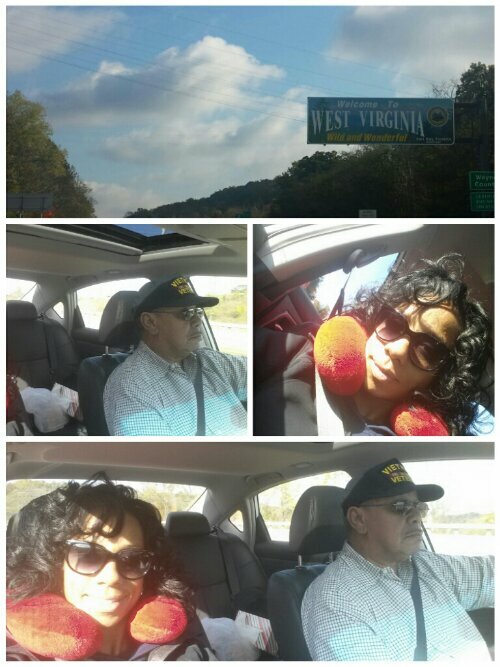 Crossing into WV is like returning to my roots. Both of my parents were born and raised in Wild, Wonderful, WV. The other two photos were taken because I was in awe at the amount of frost in the trees. Turns out we were 2,000 feet above sea level in a city appropriately named Frostburg, MD. After settling in with family in Silver Spring, MD we hit the downtown area for a bite to eat. Lots of people out and about. I wish I could hang but sleep is crucial. 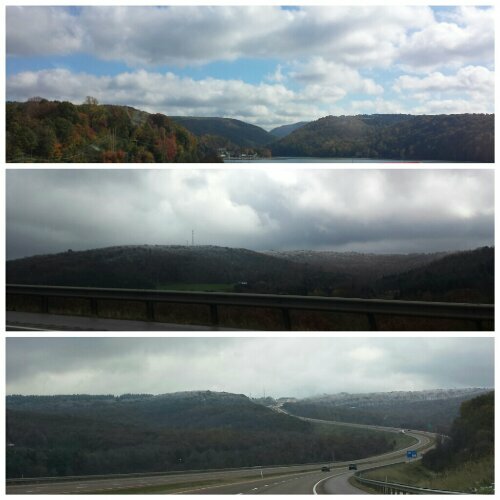 Growing up in Ohio, I remember well the many trips when we drove the hilly roads of WV. Glad you made it in OK! Good luck!